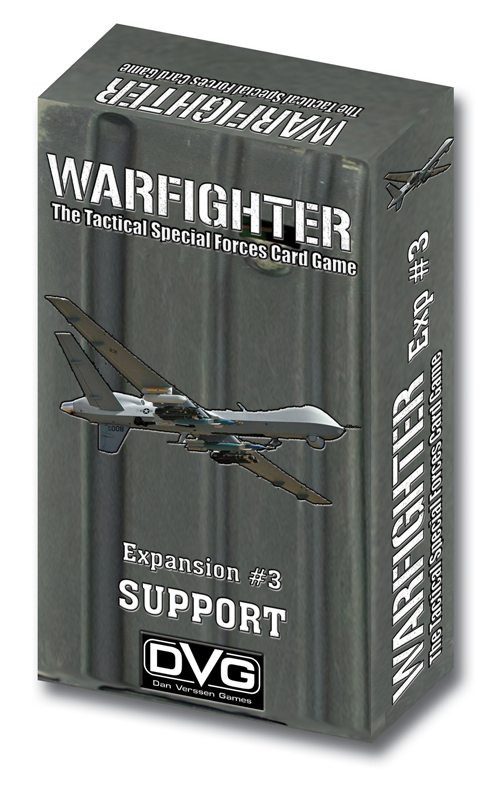 You play cooperatively with your friends against the system to complete present day squad-level combat missions. Eastern European Adversaries adds the Eastern European Region to the game. 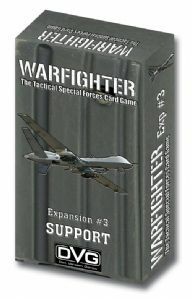 The Footlocker is stuffed full of all kinds of Warfighter goodness: extra cards, a scenario book, and version 2 of the rulebook, The Footlocker introduces night combat and mini-missions to Warfighter. Russian Federation gives you Player Soldiers, Non-Player Soldiers, and Squad Soldiers from the Russian Federation. Speedball gives you additional copies of the most popular Weapons and Equipment found in the 1st Wave games. United Kingdom gives you Player Soldiers, Non-Player Soldiers, and Squad Soldiers from the United Kingdom. Also included are their Weapon and Equipment cards.